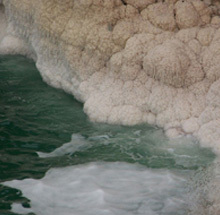 Leave Amman city behind and drive 1 hour to the Dead Sea, one of the most incredible places in the world. The salt lake is the lowest point on earth and the special climatic conditions have positive effects on dermatological and rheumatic diseases. The mineral concentration in the mud is used for therapeutic and beauty treatments. Queen of Sheba and Queen Cleopatra appreciated already the spa and health effects of the Dead Sea. Due to the high salinity one can float on the water. Moreover, the area plaid a significant role in the Bible, most popular is the destruction of the sinful cities Sodom and Gomorrah. Return transfer to Amman hotel. ● Entrance fee Dead Sea Amman Beach.